If you had read my previous posts, you would know my love for Spa Ceylon products. I have already reviewed their facial kit and body lotion. Today am going to review their shower gel. Its from the range Ginger Spice. I found it quite fascinating and bought it when there was a 50% discount 😊. Let’s see if Spa Ceylon Ginger Spice Shower Gel impressed me or not. A mild cleansing formula blended with uplifting essential oils to gently purify the body & clear the mind. Organic Ceylon Cinnamon awakens skin, promoting skin health. Organic Ceylon Ginger Root invigorates mind & body. The synergistic blend helps calm & balance the senses. Organic fresh Aloe Vera cools entire body system, while Virgin Coconut, Sweet Almond & Olive gently cleanse & nourish skin, improving overall health & well being. Starting with the packaging, am a bit disappointed. Spa Ceylon is a luxury ayurveda brand and for the price, I expected a more luxurious packaging. But this came very basic. A transparent green plastic bottle. Am not impressed! Spa Ceylon Ginger Spice Shower Gel is transparent and runny in consistency. It has an amazing scent of ginger, cinnamon and other spices. If you love warm, spicy scents, you will definitely fall in love with this shower gel. The fragrance fills the entire bathroom and lasts even after you leave. But it doesn’t last long on skin. As mentioned, the scent invigorates the mind and body. It is especially good for cold winters when you look for warmer scents. 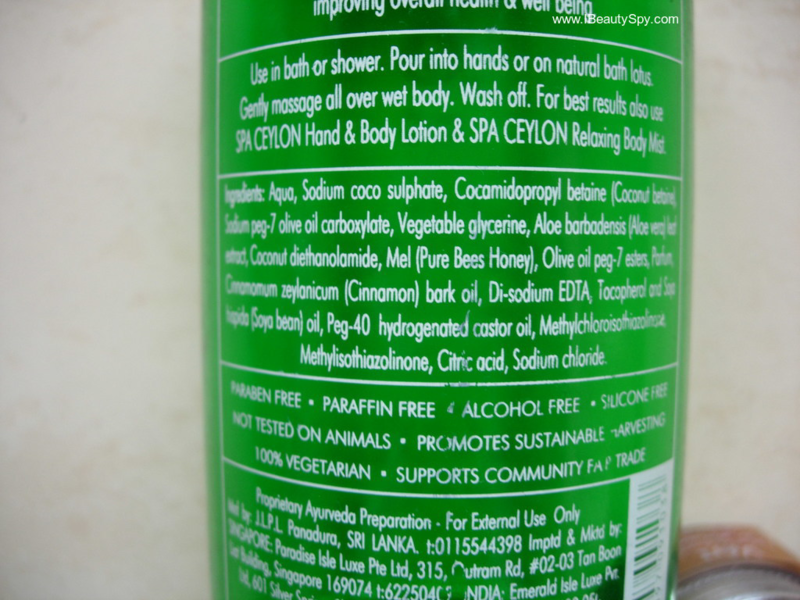 Spa Ceylon Ginger Spice Shower Gel lathers moderately. 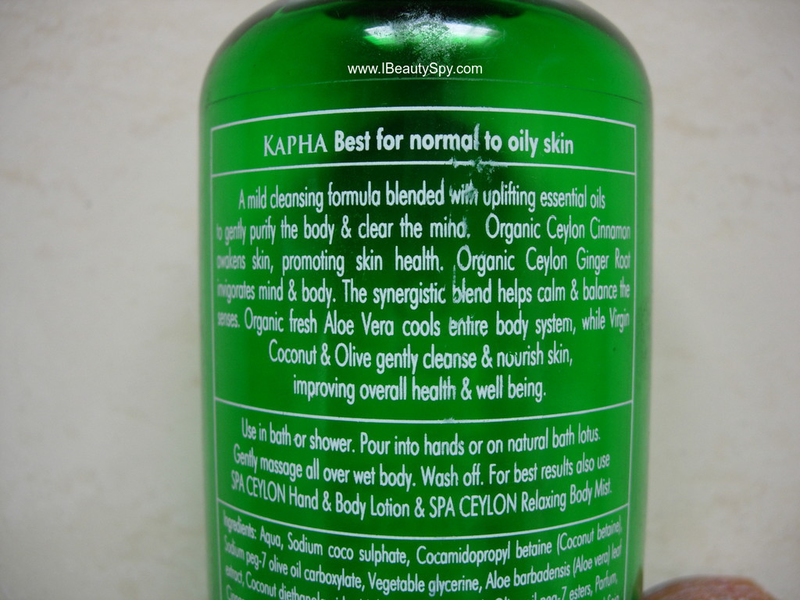 The lather is light and airy and doesn’t feel heavy inspite of presence of various oils. It cleanses gently and effectively. 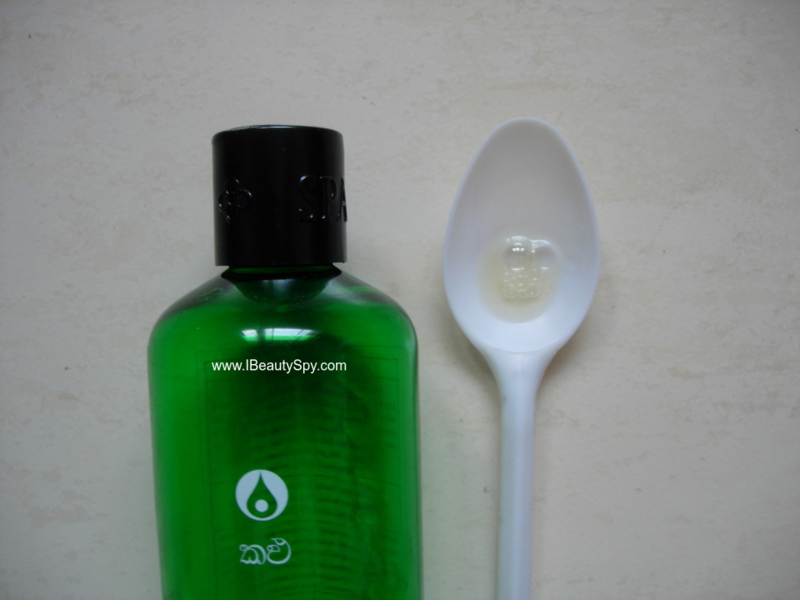 Since it contains vegetable glycerine, honey and other oils, it doesn’t dry out skin. With continuous use, I have noticed my skin is very smooth. Its been long since I used a body scrub. But still I feel my skin is smooth and soft. The price is high, but just two pumps are needed for one wash. So this bottle lasted me for around 3 months. Coming to the ingredients list, it is free from parabens, paraffin, alcohol and silicones. It is not tested on animals and 100% vegetarian. The brand also promotes sustainable harvesting and supports community fair trade. However, it contains honey, so its not a vegan product. The foaming agent used is sodium coco sulphate which is similar to SLS, but a milder version. Both are made in the same way by treating fatty acids with sulphuric acid and then neutralising with an alkali. The difference between them is that SLS is made using purified and isolated lauric acid whereas SCS is made using whole coconut oil. The result is that SLS is a relatively simple molecule with smaller molecular mass and can easily penetrate outer layers of skin and cause irritation. While SCS has a more complex structure with greater molecular mass which prevents it from penetrating the epidermis. * Amazing warm scent of ginger, cinnamon and other spices. * Cleanses well without drying skin. * Makes skin smooth and nourished. * Invigorates the mind and body. * Free from parabens, paraffin, alcohol and silicones. * Not tested on animals and 100% vegetarian. * Improve packaging to luxurious packaging. Yes, if you like to try different fragrances in shower gel and wish to try a luxury ayurveda product. Expensive. But a little goes a long way and so one bottle lasts long. 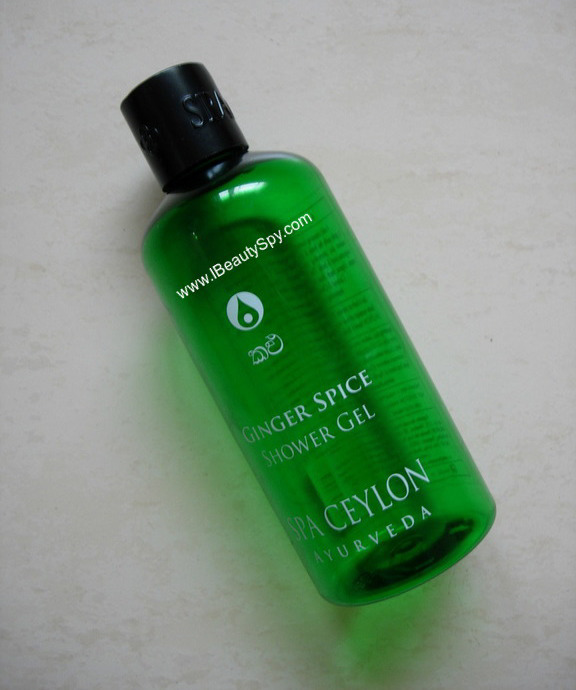 Overall, I enjoyed using Spa Ceylon Ginger Spice Shower Gel. These days am alternating it with the Kama Ayurveda Sugar & Tamarind Deep Cleansing Soap and no doubt I love this Spa Ceylon Ginger Spice Shower Gel more. I would definitely recommend this for coming monsoon and winters when you would want to go for warm, spicy scents which would awaken your senses. Sounds like an amazing product! A tad expensive though..
Slightly on the expensive side but its seems totally worth as all good ingredients are involved in its making! Nicely reviewed. I’ve tried their foot scrub and I totally loved it. This shower gel sounds amazing. Looks little expensive but if its worth the money, it’s affordable! Thanks for sharing such a detailed review.. I’ll make sure to check it! MMM ginger spice. The name itself is very tempting. I have used thier foot scrub and loved it.